As part of Rasch's taste Collection, this Casablanca Textured Metallic Plain Wallpaper is a beautifully designed wallpaper, perfect for use as either a feature wall or even as a whole room as a result of its stunning metallic sheen and delicate, yet simple, design. 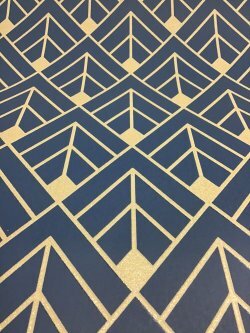 This beautiful wallpaper has a gorgeously geometric design lovingly balanced by a subtly textured background. 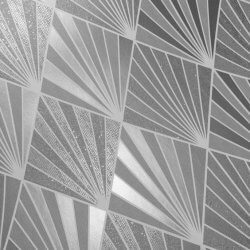 With thick, metallic lines cutting through the background, this wallpaper is certainly one which would work wonderfully as a feature wall paired with neutral, or even boldly coloured walls. 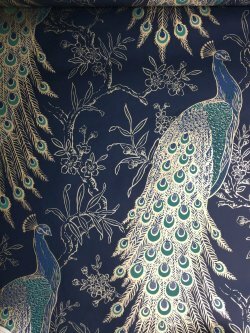 Printed on a thick wallpaper, this beautiful design is incredibly versatile as it is extra washable, which means that it can be hung on almost any wall in your home, even high traffic areas! 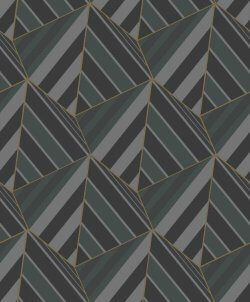 This stunningly designed wallpaper is definitely made for everyone who is obsessed with geometric patterns! Available in three different colours: Rose Gold & Light Grey, Rose Gold & Charcoal and Silver & Blush Pink, the Kayla Metallic Geometric Wallpaper would suit almost any room in any home. Easy to hang and easier to accessorise, this wallpaper can be matched with many different shades of paint from our Colour Match Range if it is used as a feature wall as a result of its versatile and beautifully elegant look. 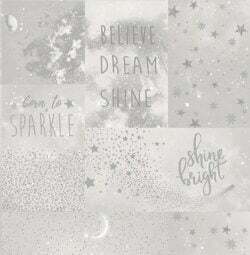 This metallic silver wallpaper will definitely bring out the shining starlight in any one of your rooms. A collage of silver stars and typography, this wallpaper almost looks like a very well-designed photomontage of inspirational starry pictures, shining beautifully across the paper. Like looking into the sparkling, metallic night sky, this wallpaper is a beautiful clustering of stars and smaller, intricate dot work over a pale grey background. With a spattering of rose gold featured throughout this stunning wallpaper, it could be used in a wide variety of rooms, including children's bedrooms as well as in other rooms which perhaps have higher traffic as a result of its washable nature. This Gold Silhouette Tropical Leaf Wallpaper Mustard is part of Rasch's beautifully designed Taste Collection which features an amazing tropical leafy design silhouetted against a rich distressed mustard background. Utilising a perfectly combined mustard with a rich gold pattern, this Gold Silhouette Tropical Leaf Wallpaper Mustard's quirky tropical style leaf pattern will work perfectly as a feature wall, especially when combined with warm neutral tones for a light, bright and rich coloured space. 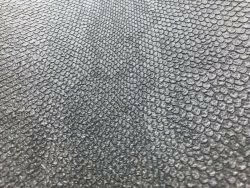 From Exclusive Wallcovering's Architecture Collection, this amazingly eye-catching Metallic Shimmer Wallpaper Charcoal is lightly textured in a stony effect which enables it to work as either a feature wall, or a wallpaper to compliment another equally stunning metallic patterned wallpaper. 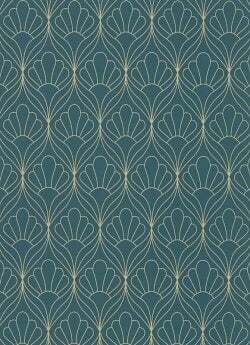 With a simplistic design, this wallpaper will not only add a touch of shimmer and glamour to your space, but will not overwhelm the room, rather it will work as a modern and very chic addition to any space! 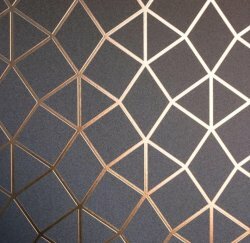 This gorgeous Geometric Fractal Metallic Special FX Wallpaper is beautifully designed with an intricate pattern of fractal geometric shapes, interlocking delicately with each other. 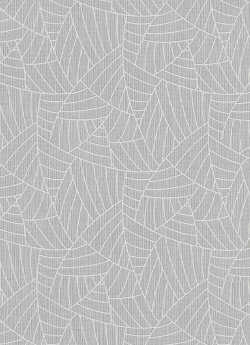 The overall look of this paper is a modern, metallic interwoven pattern which would suit a wide variety of rooms, including, but certainly not limited to kitchens, bathrooms, living rooms, hallways and any other space which you can think of!